An improved second-half showing proved key as Borussia Dortmund came back from a goal down to beat FC Augsburg 3-1 in the Matchday 27 curtain closer. Get the all-new Bundesliga app free! 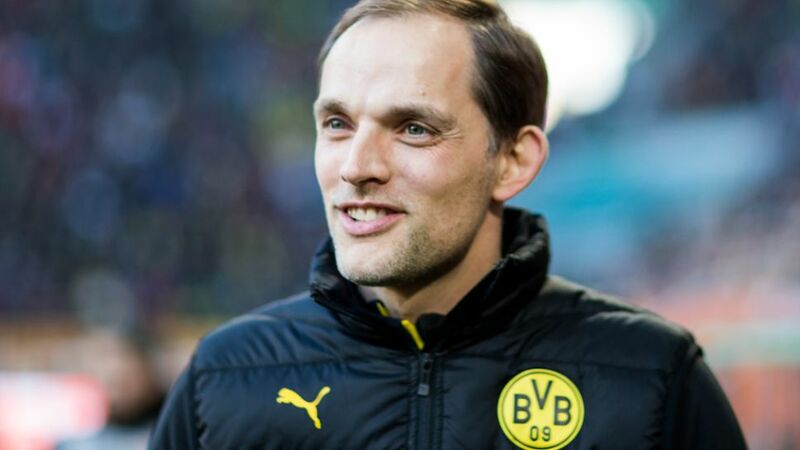 Thomas Tuchel (Dortmund coach): "I'm proud of the way the team got stuck in, broke down the resistance, refused to be put off by going a goal down and never became frustrated. Mental strength and the will to win were the requirements today, and that's what we showed. We'll see where that takes us. Bayern are exceptionally consistent and the challenges lying ahead for us are very, very tough. The task is to keep going at our own pace, remain on course and not let up." Mats Hummels (Dortmund captain): "We showed once again how much we’ve matured. It wasn’t an easy match because Augsburg sat deep in their own half. Our passing game improved in the second period and we created more chances as the game wore on. We were more focused, retained possession better and let the opposition do the work after scoring the third." Roman Bürki (Dortmund goalkeeper): "We had difficulties finding our rhythm, and got ourselves into trouble on a couple of occasions. Augsburg had two goal attempts in the first half and scored from one. We’re well aware of our strengths, however. We stayed calm and played our own game. That was the key today." Alfred Finnbogason (Augsburg striker): "It’s disappointing to be left empty-handed. We were on par with BVB and hardly allowed them many chances in the opening phase. We gave our all after the interval, but in the end BVB were the stronger side." Paul Verhaegh (Augsburg captain): "It was tough to concede the first goal as it was Dortmund’s first shot on goal. We didn’t manage to keep our level after the break and after conceding the second it became difficult to come back. BVB’s high quality prevailed in the end." Alexander Manninger (Augsburg goalkeeper): "I’m happy with our performance, but not the result. We played well and didn’t allow them many chances. Dortmund showed patience, however, and exploited their few chances thanks to their individual quality."